2There is consciousness within the systems and consciousness without the systems, considering we are all inside a giant system. You weren’t there. Not a single atom that is in your body today was there when that event took place. Every bit of you has been replaced many times over (which is why you eat, of course). You are not even the same shape as you were then. So what are you? Where do you end, at the end of your skin? Is the dirt, the dead skin on your body a part of you? If not, than is your hair a part of you, considering it’s dead nerves? How can you define yourself when ALL of the atoms in your body are not the same atoms you had 7 years ago? Matter flows from place to place and momentarily comes together to be you. But you are not matter, you are the information that holds the matter that forms your body together. And layer upon layer, this concentrated energy creates systems. There is a system of quarks, a system of atoms, a system of molecules, a system of organs, a system of organisms. With each layer, these sets of concentrated energy give birth to consciousness. There is consciousness within the systems and consciousness without the systems, considering we are all inside a giant system. We call this giant system The Universe and for the consciousness without, there are many names through history. There is the solar system, the system of the galaxy, the system of galaxies, and so on. The sole fact that there are laws in The Universe proves that there is subtle intelligence all around us, waiting to be discovered or downloaded. Energy produces consciousness with its movement and in return consciousness configures the movement of energy. That’s how these 2 aspects dance together. The system ascends with every bit of intelligence acquired from the giant system we are all a part of. And YOU, you are somewhere in the middle. You are the consciousness acquired from the movement of your energy, and you are the energy that your consciousness moves. You are the collection of all systems within you, and the potential of all systems without you. 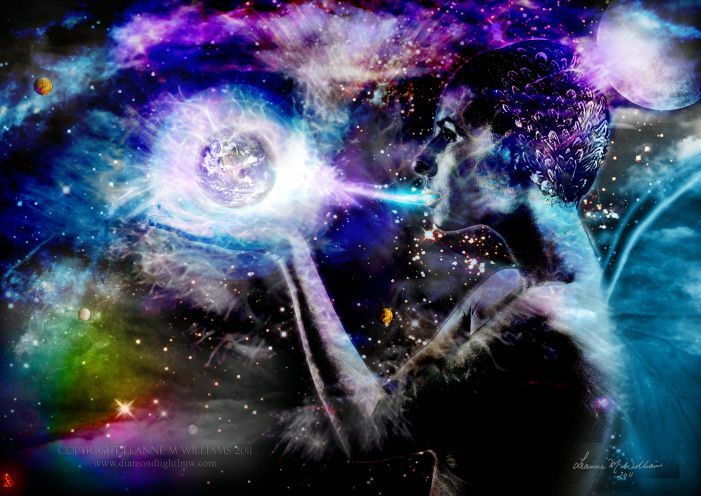 You are the energy of The Universe gaining intelligence. You are the sole process of becoming.